Orbital Micro Systems (OMS) has formed a strategic relationship with Lemon Advisors, a consultancy focused on international expansion and strategic business development activities, to assist the company in increasing sales of their unique weather intelligence services for commercial and government entities. Under the leadership of founder Subhash Ghosh, Lemon Advisors UK will work closely with OMS to identify and engage key industrial and government customers that can benefit from the unmatched volume and precision of analytics-ready weather observation data generated from OMS’s International Center for Earth Data (ICED) facility in Edinburgh, Scotland. Lemon Advisors UK will also contribute local expertise to contractual matters, sales and promotional activities, partnering and alliance opportunities, business formalities, and operational management. 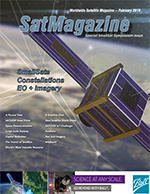 OMS operates a fleet of Earth Observation (EO) satellites that will gather detailed weather data much more frequently and accurately than current government-owned weather satellites. OMS’s ICED platform integrates this data with other public and private datasets to provide simple and timely access to comprehensive weather intelligence within minutes of observation. The ICED platform empowers decision-making and risk management based on facts, not forecasts. The data produced from ICED serves a multitude of military, government, and commercial organizations, including customers in insurance, aviation, maritime, energy, and agricultural sectors. 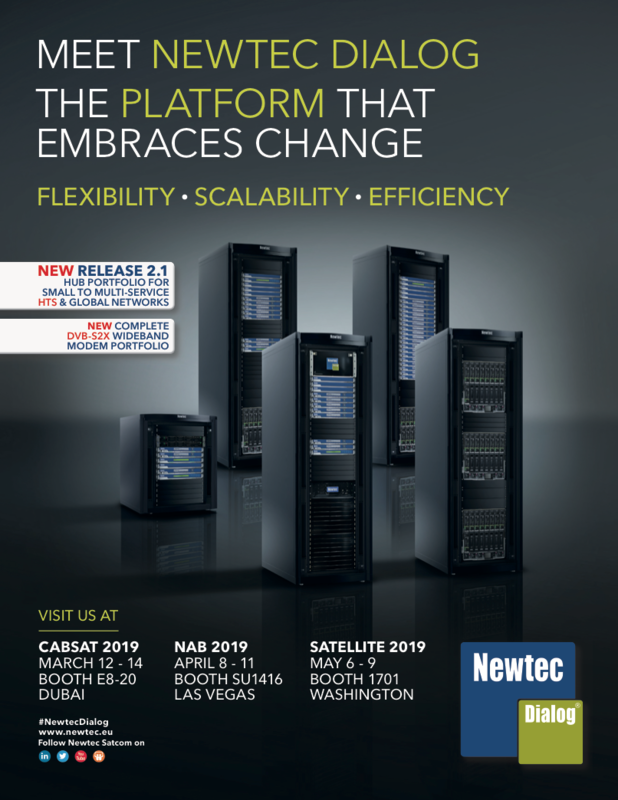 With higher temporal and spatial resolution, refreshed and delivered every 15 minutes, it provides accurate forecasting to enable faster, informed analytics and decision-making and ultimately improving the effectiveness of organizations’ forecasting, financial modeling, and operations. SSL, a Maxar Technologies company (NYSE:MAXR) (TSX:MAXR), provider of satellites and spacecraft systems, is combining Maxar’s capabilities for a contract to define the requirements to build a small form-factor satellite that will monitor and measure methane emissions from oil and gas facilities around the world. 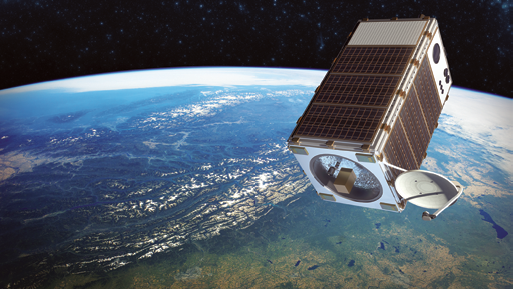 The satellite, named MethaneSAT, will enable Environmental Defense Fund (EDF) to change the way detection and analyzation is established of methane emissions and then to understand and combat climate change. Following design development, EDF anticipates awarding a contract in 2019 for the final design and manufacturing of the satellite. To enhance its solution, SSL is working together with Maxar’s DigitalGlobe, which is the global leader in commercial high-resolution satellite imagery. DigitalGlobe will provide technical input on the satellite payload design and guidance on the overall mission plan. An artistic rendition of the MethaneSAT methane-detecting satellite. MethaneSAT will provide global, high-resolution detection of methane emissions from regions that account for more than 80 percent of global oil and gas production on a weekly basis. The satellite’s high precision will enable it to detect and quantify both high- and low-emission sources and accurately attribute them to relevant oil and gas infrastructure. Richard White, the President of SSL Government Systems said that SSL’s decades of experience in developing reliable spacecraft systems, combined with the full suite of space capabilities offered by Maxar Technologies, uniquely positions them to provide solutions for advanced missions, such as MethaneSAT. 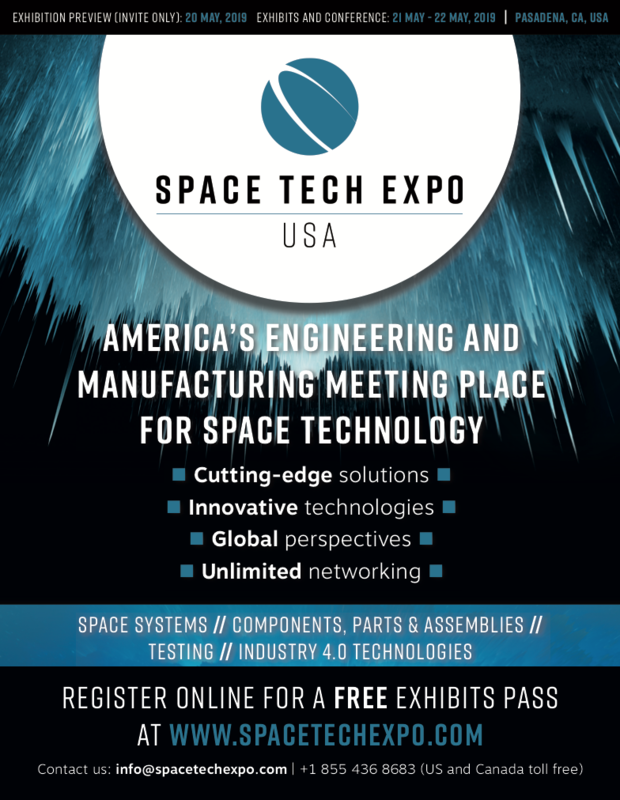 Plus, developing small to medium satellite solutions for the U.S. Department of Defense under the Small Spacecraft Prototyping Engineering Development and Integration (SSPEDI) award. The World Teleport Association (WTA) has published their annual rankings for the Top Teleport Operators of 2018 — the annual rankings of companies by revenue and revenue growth are compiled by surveying teleport operators around the world as well as referencing the published results of publicly-held companies. In May of 2019, WTA will publish its annual Inside the Top Operators report that will provide a more detailed analysis of survey results. The Independent Top 15 ranks teleport operators based on revenue from all sources. The list focuses on the independent operators at the core of the business, excluding companies whose primary business is ownership and operation of a satellite fleet or terrestrial network. The Global Top 20 ranks companies based on revenues from all customized communications sources and includes operators of teleports and satellite fleets. The Fast 10 ranks all teleport-operating companies based on year-over-year revenue growth in their most recent fiscal years. Comtech Telecommunications Corp. (NASDAQ: CMTL) has that during the firm’s second quarter of fiscal 2019, their Tempe, Arizona-based subsidiary, Comtech EF Data Corp., which is part of Comtech’s Commercial Solutions segment, was awarded a $1.0 million infrastructure equipment order from a global satellite operator. The order specified Comtech EF Data’s CDM-760 Advanced High-Speed Trunking and Broadcast Modem, which offers the user data rates of over one Gigabit per second and was designed to be the market’s most efficient, highest throughput, point-to-point trunking and broadcast modem. The modem leverages 256APSK modulation, DVB-S2X and bi-directional Adaptive Coding and Modulation operation, which is the most advanced combination of space segment saving capabilities that minimize overhead. The modems will be deployed and used to support next generation, high-speed maritime applications across the satellite operator’s global GEO satellite constellation. 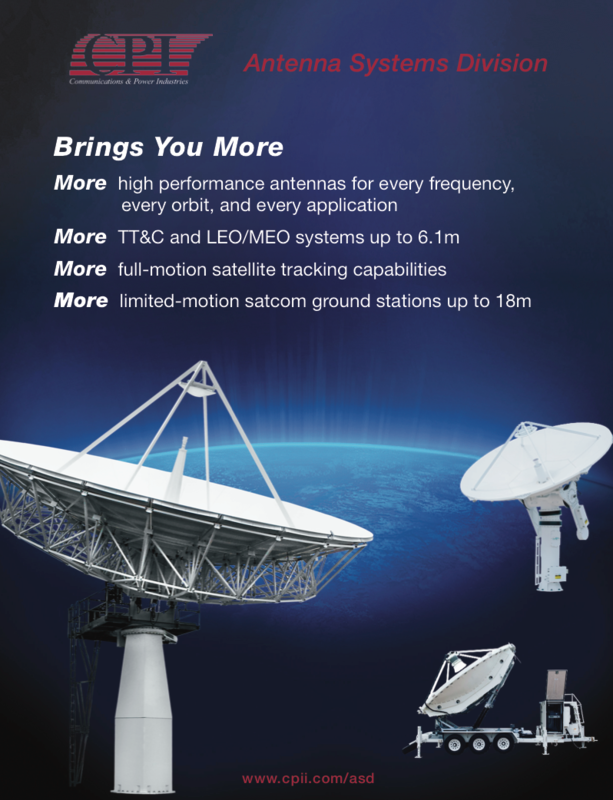 Fred Kornberg, President and CEO of Comtech Telecommunications Corporation, said the satellite operator selected the company’s satellite modems based on the firm’s proven track record of delivering reliable and highly resilient products with the highest speeds in MEO and GEO modes. 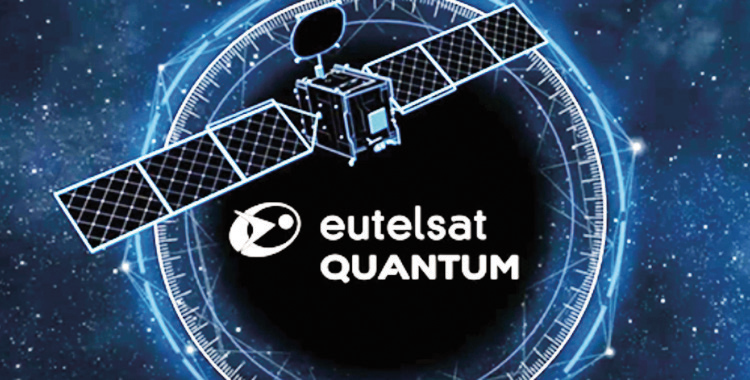 The EUTELSAT QUANTUM satellite is being built under a public–private partnership between the European Space Agency (ESA) and the satellite operator Eutelsat with Airbus as the prime contractor. The satellite platform, which has been designed and manufactured by SSTL in Guildford, was on view to invited guests at a special event to mark the handover to Airbus who will complete the satellite assembly and testing in Toulouse.